If I told you that in 400BC Persians were able to keep ice from melting when temperatures often reach 40 degrees and without the luxury of electricity, you’d probably think I was making it up. In fact, it is true and I find the invention and use of a Yakhchal fascinating. By keeping ice as ice for a prolonged period it meant that houses could be kept cool by using the blocks in the summer, and food could be “passively refrigerated” to substantially extend its shelf life in the heat. 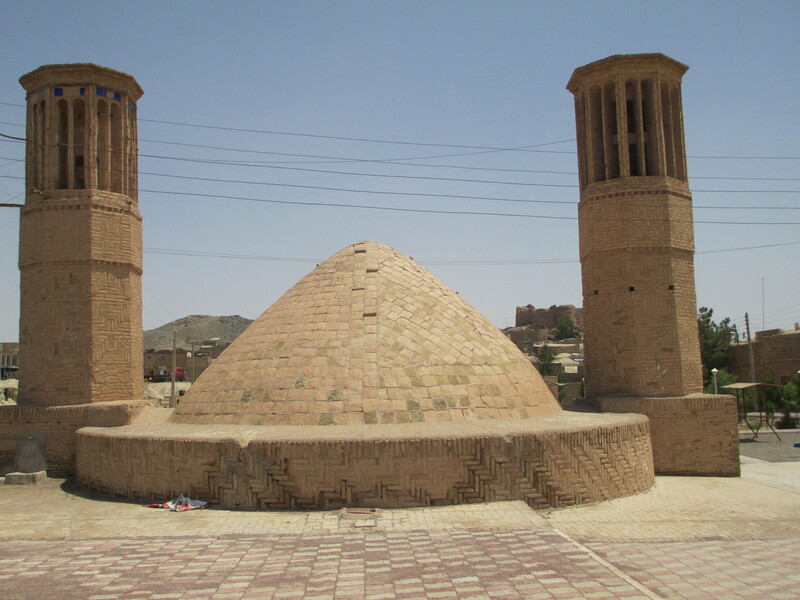 Yakhchals are domed structures constructed from mud bricks with underground space excavated below ground level. The dome and underground chamber are also insulated with a very effective and delightful mixture of sand, clay, egg whites, lime, goat hair and ash up to 2 metres thick. We found a yakhchal and badgirs together on the outskirts of Na’in between the new town and the ancient citadel and I can vouch that the ice house is a very large building. Sadly, the ice house was locked and we were unable to find anyone who could let us in to take a look. 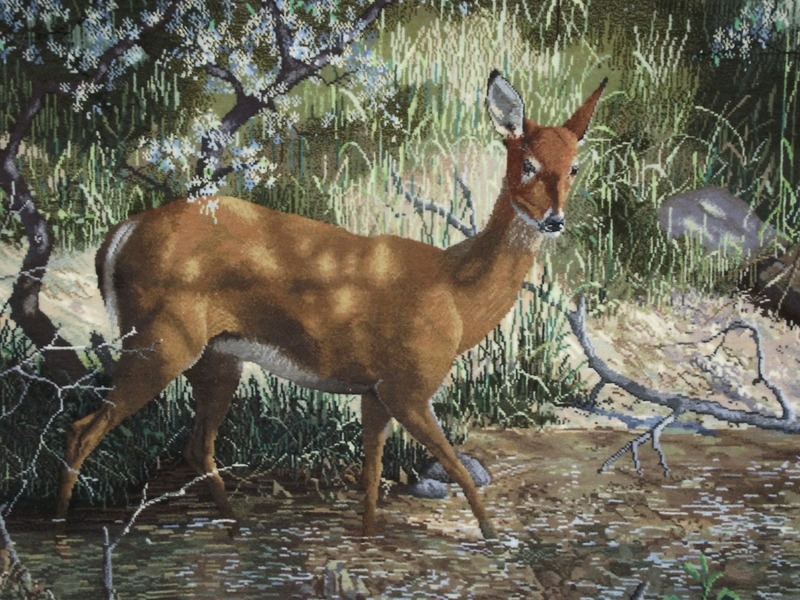 Ice could either be brought down from the mountains in early winter and stored until the following summer or, more commonly, the water from the Qanats was channelled into areas which were sheltered from the sun and wind so that it froze overnight in the notoriously cold winter desert temperatures. Blocks could then be cut and stored in the Yakhchal ready to use the following summer. Whilst most of the ice houses in Iran are now abandoned in favour of electric white goods, some communities in desert areas across the globe are looking at the ice house method of keeping things cool as an alternative to using electricity-“off grid living”. Instead of ice blocks however, 2 litre bottles of water are filled and used. Not only are these easier to transport it also avoids unnecessary plastic going to landfill. In this day and age of reduce, reuse, recycle, ice houses could still yet make a come back! Badgirs, or windcatchers, do exactly what it says on the tin; they catch wind. Built from brick or mud and adapted to take into account the direction of airflow depending on its intended use, these structures are the forerunners of air-conditioning systems but again, without the need for electricity. 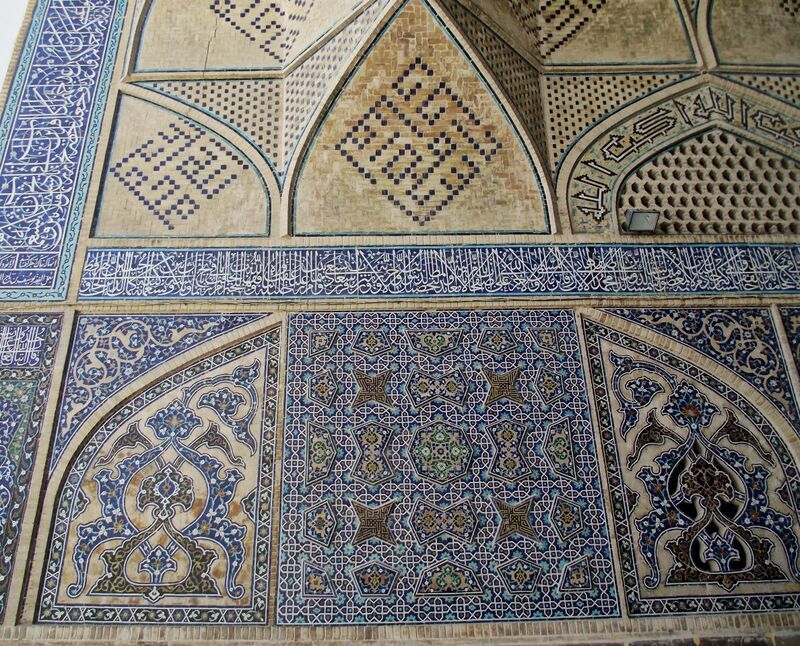 Badgirs were, and still are in some parts of Iran, used to cool buildings and act as ventilation. The Yadz area in particular is renowned for the high numbers of wind catchers in use and this is no surprise given its location on the edge of the desert. 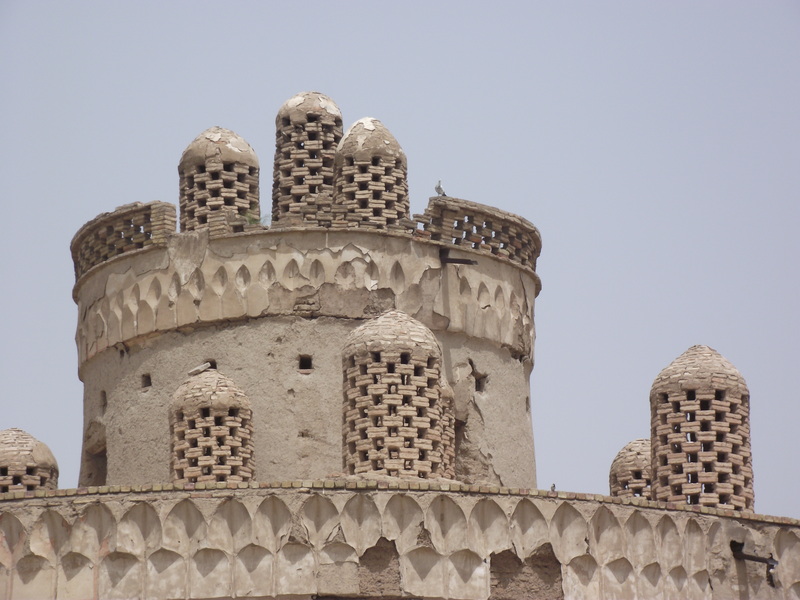 Badgirs are usually high towers and have either one, four or eight openings. For air-cooling a house, the tower would often have one opening facing the prevailing wind so that it drags the air down and into the house thus keeping the air continually moving whilst cooling. When used alongside a Qanat, windcatchers can also be adapted so that they draw air up from the water tunnel which cools as it passes over the water and up through the cool ground. For this to happen, the opening will be facing away from the prevailing wind. Strangely, windcatchers are also effective cooling mechanisms when there is no wind! In this situation, hot air travels up and out of the tower as a result of the pressure gradient created. This leaves the lower levels of buildings extremely cool and welcoming on hot days. I am always impressed by the early engineering and construction skills of the Persians and these three structures are classic examples of their advanced thinking to the extent that countries today are looking to use these ideas as more sustainable alternatives to the energy-hungry modern equipment we currently use. Not bad for a 2000 year old legacy. Before travelling to Iran, I usually do a little homework so that we have some interesting places to see whilst we are here. It is amazing what a little planning and forethought can produce and today was a diamond. 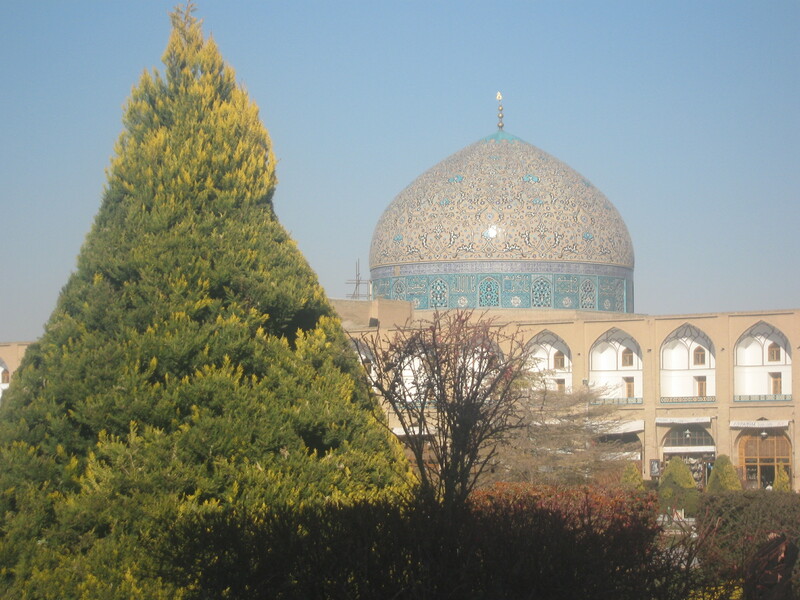 I had read about Pir-i Bakran in both of my guidebooks about Iran/Esfahan and decided that I would like to pay a visit as it is not far from where we are based although we did need a taxi for the day. Taxis are no obstacle as some of the family own a taxi business so not only did we get a great guide in Ramon who we know well, but also he could join in the fun and have lunch with us. 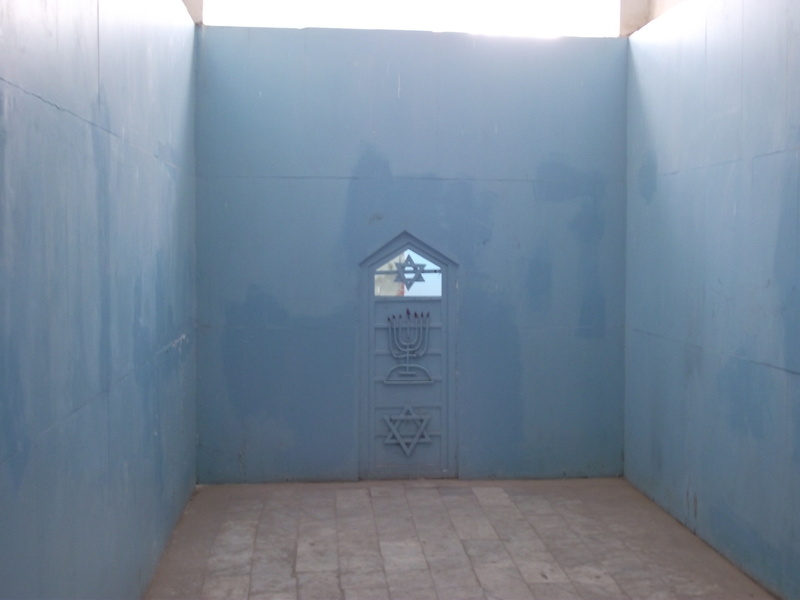 When he picked us up at 9am, I could tell that Ramon was not convinced that there was anything to see at Pir-i Bakran but all that changed when we arrived 45 minutes later at the first site, the old Jewish synagogue and cemetery. The write-up in my Brandt Travel Guide was not promising saying that the guardian of the site “is monosyllabic and unhelpful” and “as yet, Jewish colleagues in the UK can find no information about the complex, known locally as Esther Khatun ( Lady Esther).” However, they clearly didn’t have the advantages I had today being that hubby’s father was the highly regarded Mayor of Esfahan province and the guardian remembered him from childhood. 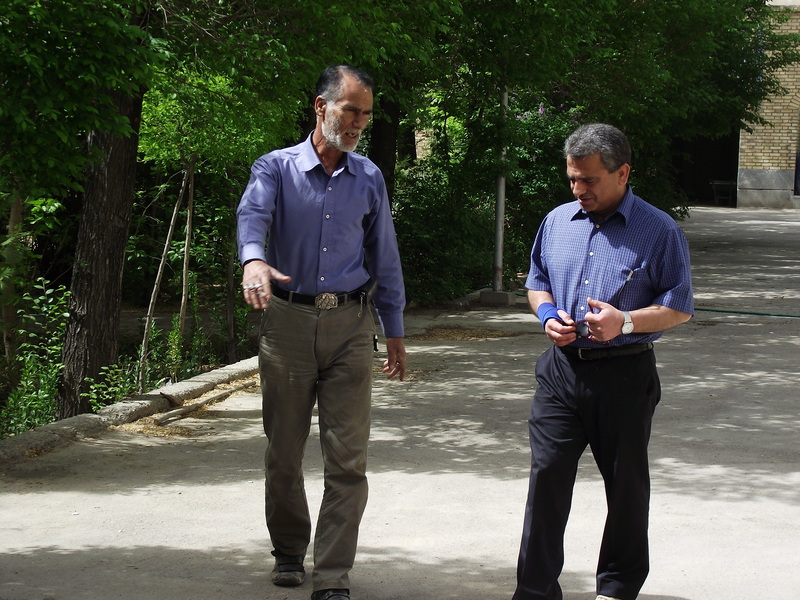 In addition I was accompanied by two charming Farsi speaking gents so that all paths and doors to the usually closed and hidden rooms and gardens were opened before me. We also got a full description of each room which was translated into English by my husband. 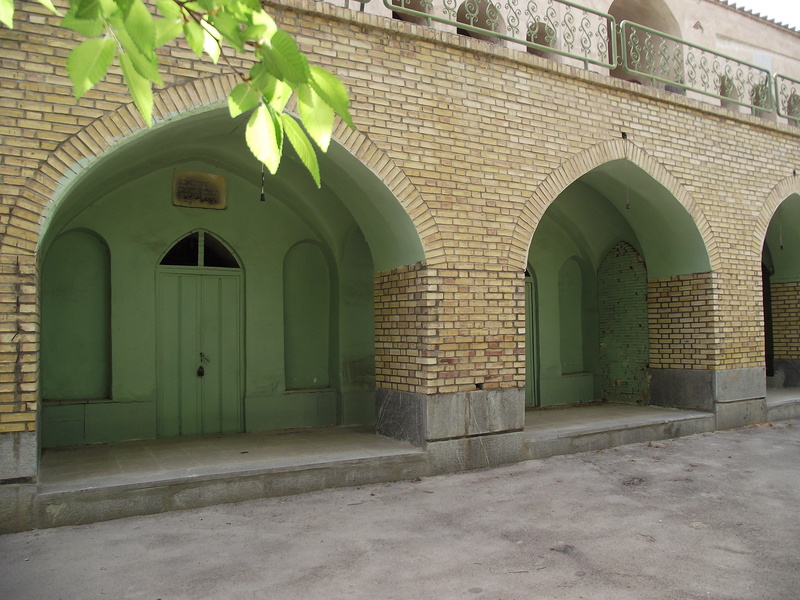 The synagogue itself is derelict but pilgrims from all over Iran gather at the site once a year in September staying in the side rooms built in a quadrangle. 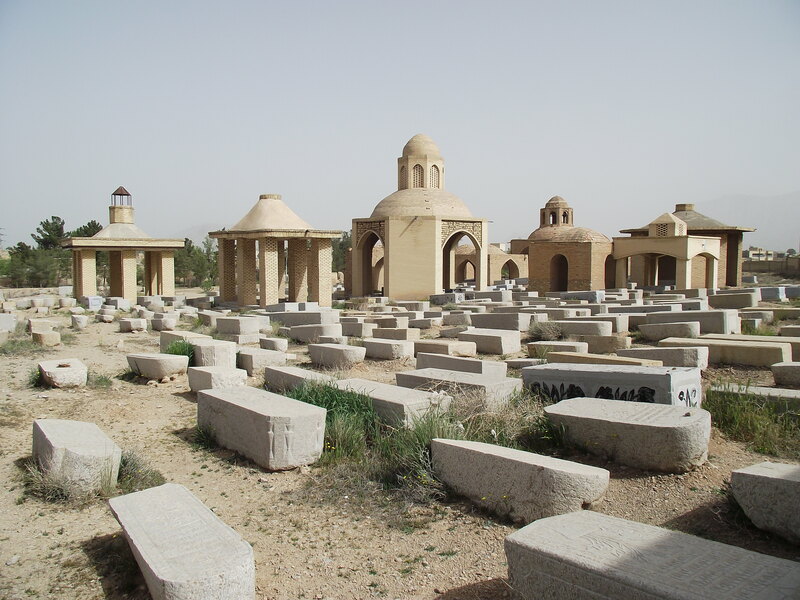 None of the maintenance and upkeep of the site is paid for out of Iranian Government funds as it is paid by the Iranian Jewish community and families of those buried at the site. Whilst we were free to walk around the synagogue gardens, all the gates to the interior were padlocked but after some persuasion, the guardian agreed to unlock them and show us around for which I was most grateful. 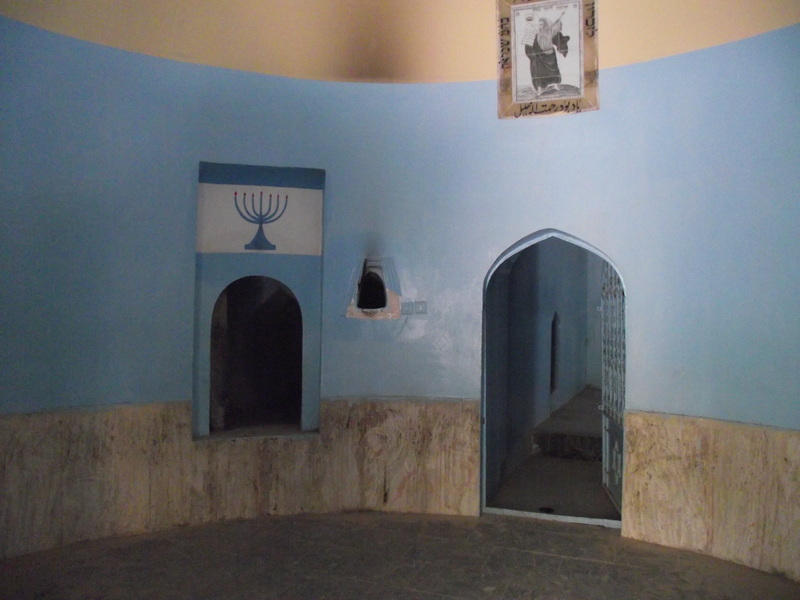 The first room we were able to enter was the main domed room at ground level which contains the torah stand. Small prayer rooms are found upstairs. In the corner of this room there is an arched doorway hung with a heavy stone door carved with Hebrew text. The door is opened and locked by a “secret” handle hidden in the hole in the wall to the right of the door. The guardian told us that women who cannot conceive or cannot find a husband enter the doorway and crawl along the narrow and low chamber all the time praying and asking to be blessed with children or a husband by next year’s pilgrimage. The guardian then took us through to a blue room where he told us that the son of Jacob had disappeared through the walls never to be seen again. My guide-book tells me that it was Esther (or Sarah) who disappeared so a little more homework to be done methinks. We spent a good couple of hours at the site and I felt privileged to have done so. 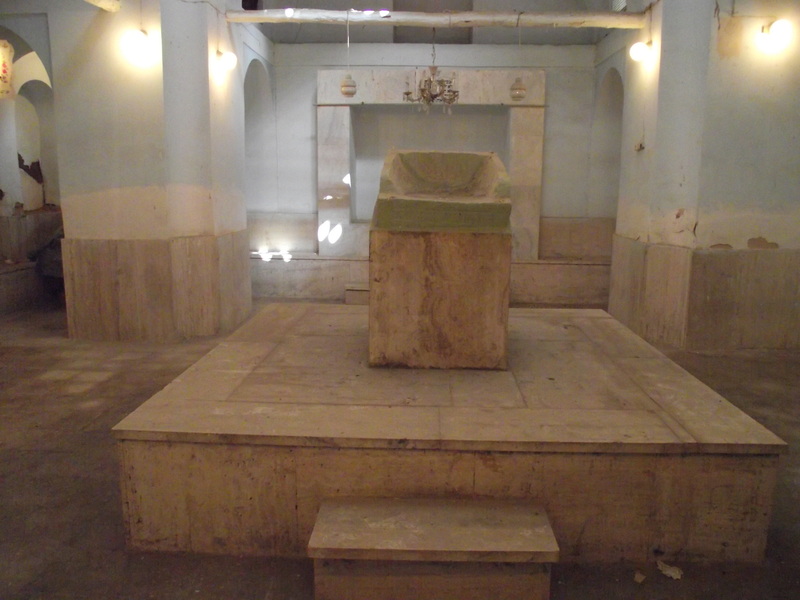 It is not well-known that this is a sacred place for the Iranian Jewish community to gather every year, and neither my husband nor Ramon were aware that Jews who have been on a pilgrimage to Jerusalem are afforded the same title and respect of those Moslems who have been to Mecca on the Haaj. Unless you know the area very well, or have read the guidebooks you’d never know that this place existed as it is so well hidden from the road. In fact, there is no direct access to the site from the road and you have to attract the attention of the guardian by knocking at the big metal gates before you can get in. 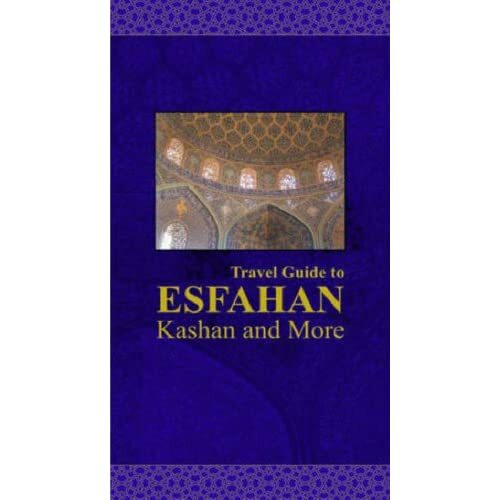 This is a great book if you are travelling in Esfahan and Esfahan Province and it contains plenty of information, helpful hints and tips for travellers, photographs and illustrations. If you are unable to get the book before you travel, there are bookshops in the area opposite the Hotel Abassi in Esfahan which should stock it. 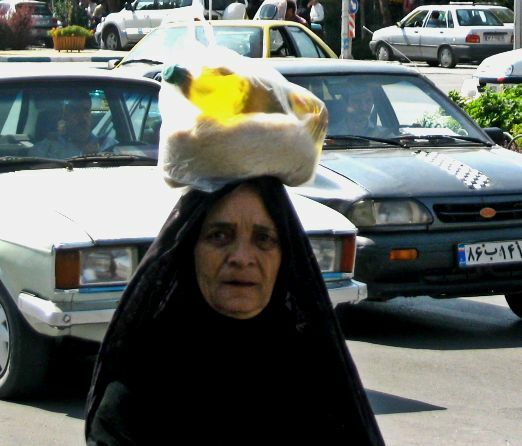 It cost me approximately £12 to buy in Iran.